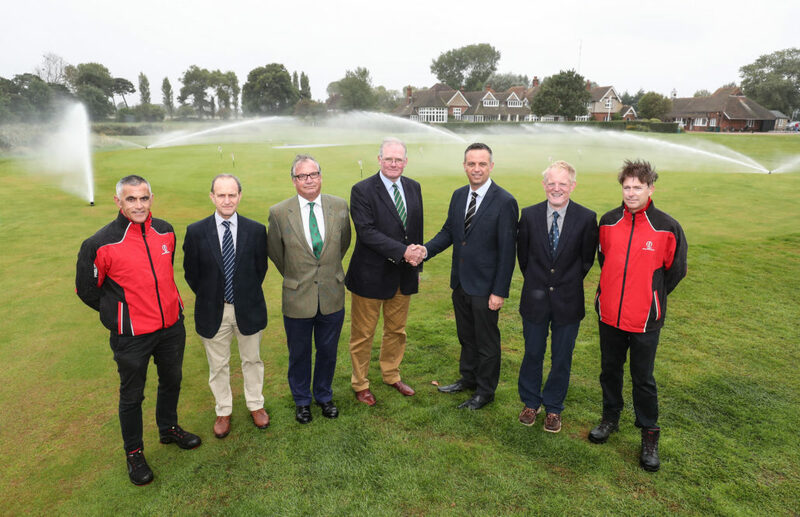 Open 2020 Prep Starts With Toro: The Open Championship is returning to Royal St George’s Golf Club in 2020, and the south coast club has chosen Toro irrigation to ensure the famous old course is looking its best when the world’s top golfers arrive in under two years’ time. Complete with pump and weather station integration and installed with a course map and Toro’s round-the-clock support in their handheld and NSN apps, the club’s adoption of the Toro system might not have been the case had Paul not given Rob Jackson, irrigation field sales manager at Reesink, the chance of a trial on a small patch of the golf course. “I told Rob that I’d more than likely stay with the original system provider but that I was happy to learn of anything new as I like to be open-minded. And I’m glad I did. What I found was that Toro was easier, better and more suited to our course. I’ve had full confidence in the company and the system ever since. Everything has been first class,” revealed Paul. One area of the course which is benefiting greatly from the new system is the pathways, which now have over 1000 Toro 590G sprinklers with Precision Rotating Nozzles (PRN’s). Installation expert, Ocmis, was able to use most of the original pipework, just replacing all the joints and heads, with only a small amount of new pipework so disruption was minimised. “The work was carried out over the winter and finished by early spring and by closing a hole at a time there wasn’t much disruption to the golf,” said Paul, who is looking forward to preparing the course for what is always a spectacular Open at Royal St George’s. 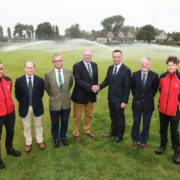 Club secretary, Tim Checketts, was part of the panel which had put in place a rigorous tendering process designed to ensure the club would identify the best new irrigation system for them. “At the end of the process Royal St George’s Golf Club was quite clear that Toro’s irrigation system offered us the significant uplift in capability we had been looking for. We felt that Toro gave us the ability to use less water and target it precisely where we wanted it to go and in doing so the new system would support our strategy to encourage the growth of the finer fescue grasses while reducing the percentage of broadleaf grasses on the course. “Ocmis was chosen as our preferred contractor recognising its track record in delivering major projects to cost and on time and its reputation for tidy and professional work. The company deserves great credit for completing this project despite the considerable challenges posed by the 2017/18 winter,” said Tim.